As temperaturas altas vão-se mantendo por cá e a vontade de lhe fazer frente, com refeições frescas, também! 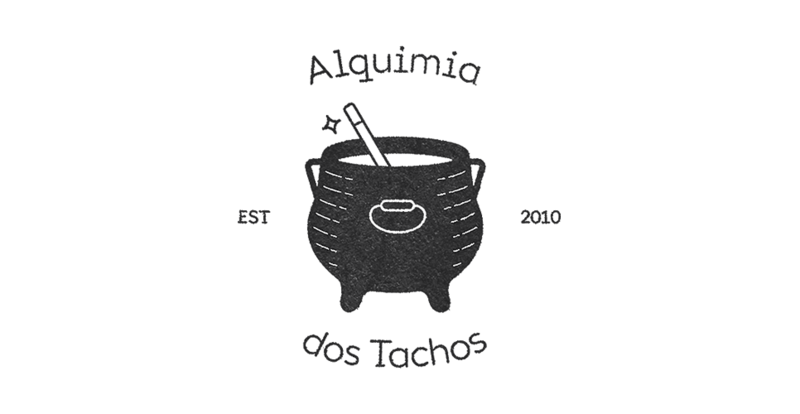 Claro que a preferência vai para as saladas, sandes, ovos, omeletes... e (para mim) no topo da lista: o atum! Então, o que eu posso dizer-vos desta receita? Esta receita é fácil, cheia de sabor, e deliciosa. Além disso, é uma refeição saudável. Preheat the oven to 225° C. Line oven pan (30*40cm) with parchment paper and brush with oil. In a bowl, whisk together milk, flour, salt, sugar and pepper. Set aside for 10-15 minutes. Add the eggs and whisk until mixture is smooth. Pour mixture into oven pan and bake on the lower level of the oven for 20-25 minutes, until golden brown. 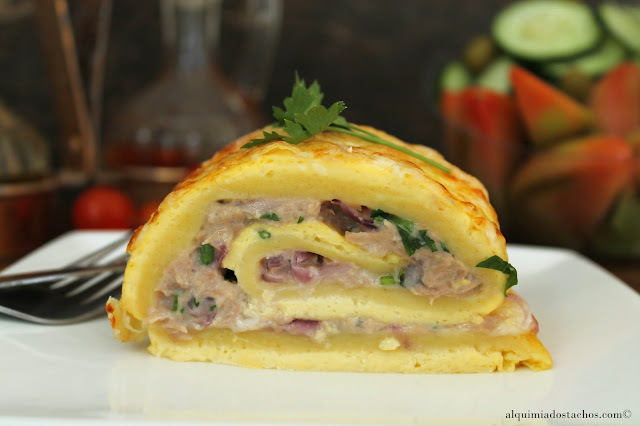 Take off the tin and turn out omelette onto another piece of baking parchment. Preheat a skillet with 1-2 tbsp of oil. Add chopped onion, 1 tbsp of sugar and stirring constantly, cook for 3-4 minutes. Add 1 tbsp of vinegar and continue to cook, stirring constantly for another 5-6 minutes. Take off from the heat, season with salt and pepper and cool. Drain the tuna and stir in onion. Add chopped persil, and cream cheese. Season with black pepper and gently mix. 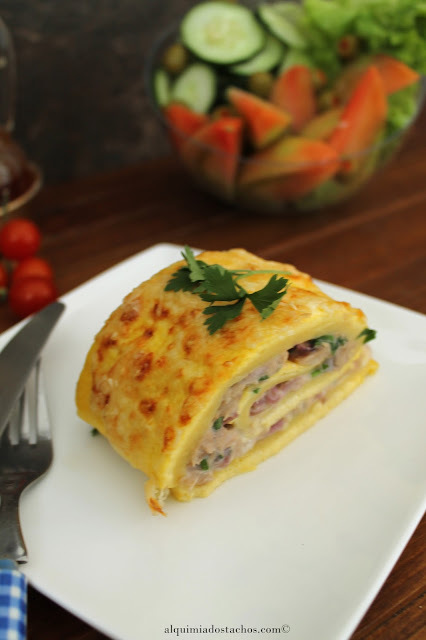 Preheat oven broiler to 250° C.
Spread tuna mixture over the omelette without getting too close to the edges. Roll to form a roulade shape. Transfer the roll to the oven tin and sprinkle the grated cheese on the top. Place tin to the oven and bake until the cheese melts and gets the color. Let cool for 5-10 minutes before сutting. Serve with tossed salad. Que aspecto maravilhoso e vou já levar a receita! !